Stephen Curry takes a quick nap during the 4th Quarter of NBA Finals Game 2 on Sunday, fans says it’s disrespectful. 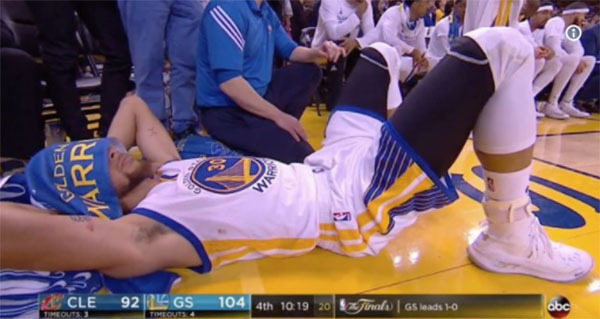 With only 10 minutes left in Game 2, superstar point guard Stephen Curry threw a towel over his head takes a sideline nap to relax. On social media, many fans found Curry’s snooze to be disrespectful. The Warriors sealed the Game 2 with 132-113, giving 2-0 lead against Cavaliers in the series. Curry drops 32 points in Game 2 match. What can you say about Stephen Curry sleeping on the sideline during the 4th Quarter of NBA Finals Game 2?